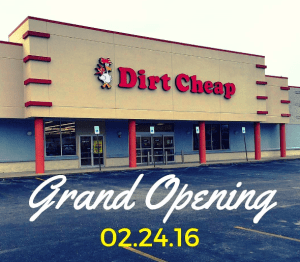 Dirt Cheap recently opened in the former Office Max location at 620 S. Quintard taking 23,500 sf. This location serves a population of over 67,000 consumers with an average household income of $51,000. Dirt Cheap, based in Hattiesburg, MS offers discounted merchandise to bargain shoppers. They are rapidly expanding through out the Southeast.